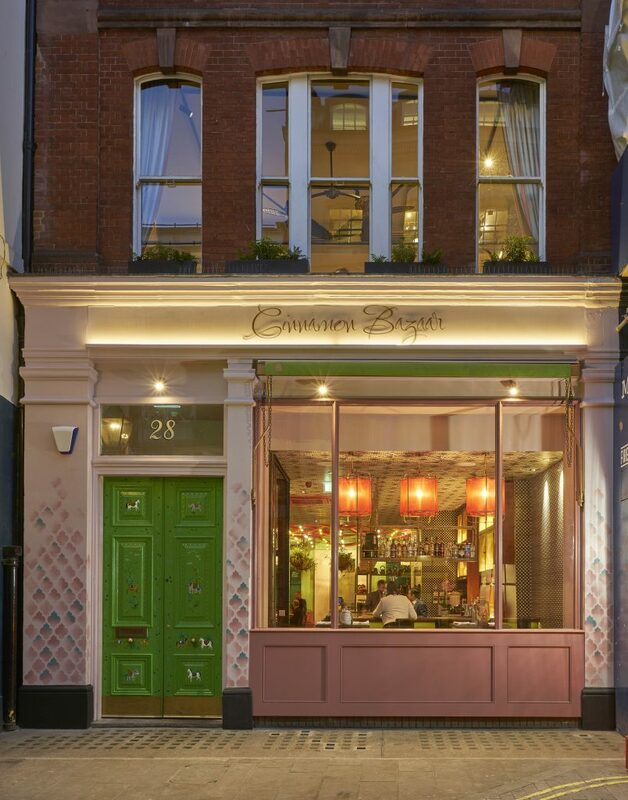 Chef Vivek Singh of The Cinnamon Club fame has come up with an exciting new offer in Covent Garden and I’ve been invited to meet him and try out the food and drink. Vivek told me that this is the project in his career where he has had the most fun so I’m excited to see how that manifests itself on a plate. 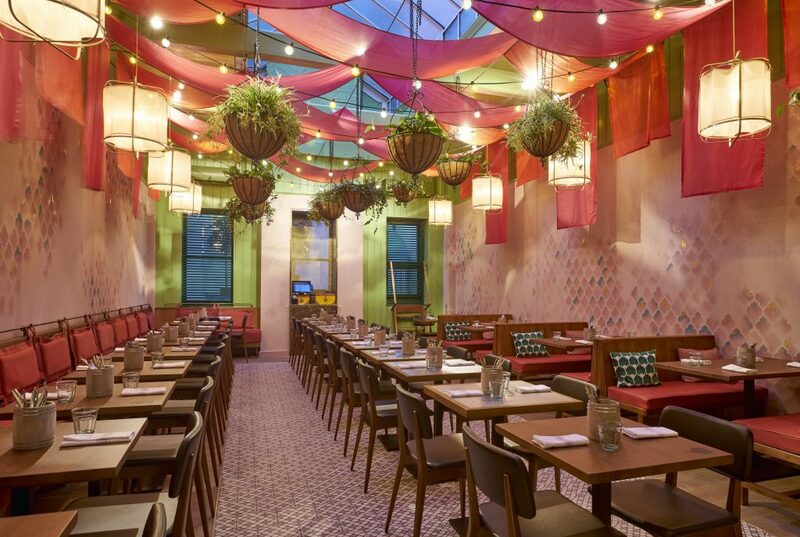 Inspired by the streetfood stalls in Indian bazaars the restaurant is a fusion of food and drink in a creative partnership with Ryan Chetayawardana (a.k.a. Mr Lyan) whose bar Dandylyan won the Best New Bar In The World award. This is a serious coming together of talents. India inspired cocktails have a habit of going horribly wrong. I had a terrible take on a Negroni recently at Dum Biryani. However a Bazaar Old Fashioned (£10.50), a spiced whisky cocktail featuring coconut washed Indian Scotch, coconut sugar and burnt cinnamon was delicious and not too sweet. 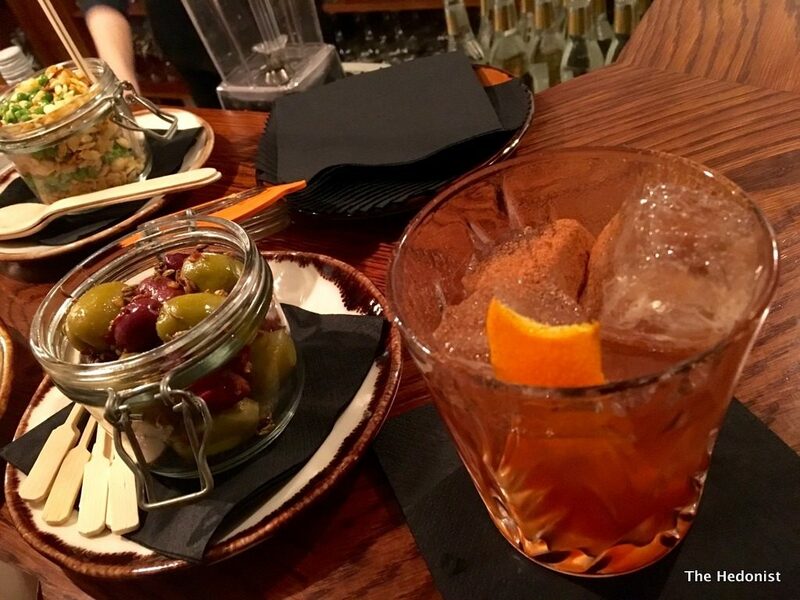 It was a grown-up accompaniment to the spiced olives and other bar snacks. Fiona really enjoyed her Masala Cola Float made with very organic Karma Cola, a product that will do for colas what Fevertree has done for tonics. We started with a selection of chaats. 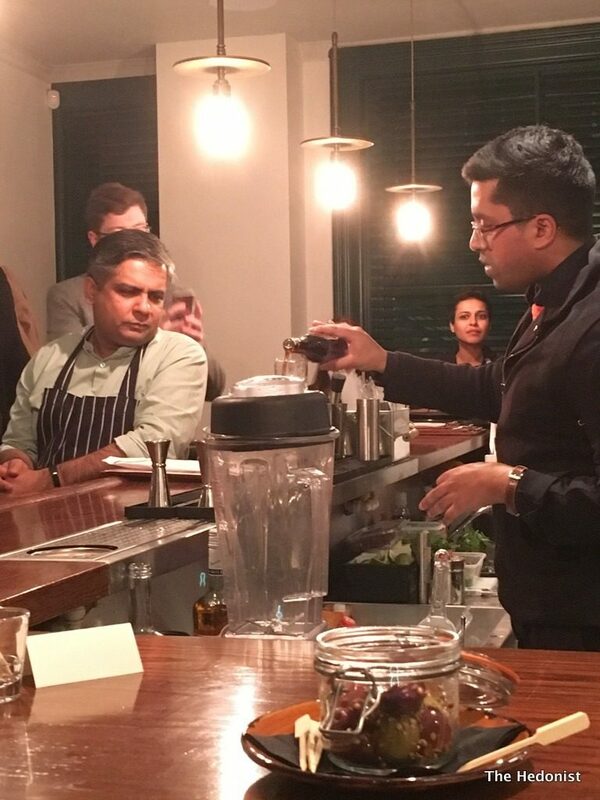 Vivek explained that chaat as an Indian street food dish was both customisable and sophisticated. These were the best I’ve eaten and I would quite happily have munched on them all night (why not start a chaat restaurant Vivek?). Watermelon chaat was a wonderful balance of spicy crunch and the sweetness of the watermelon. 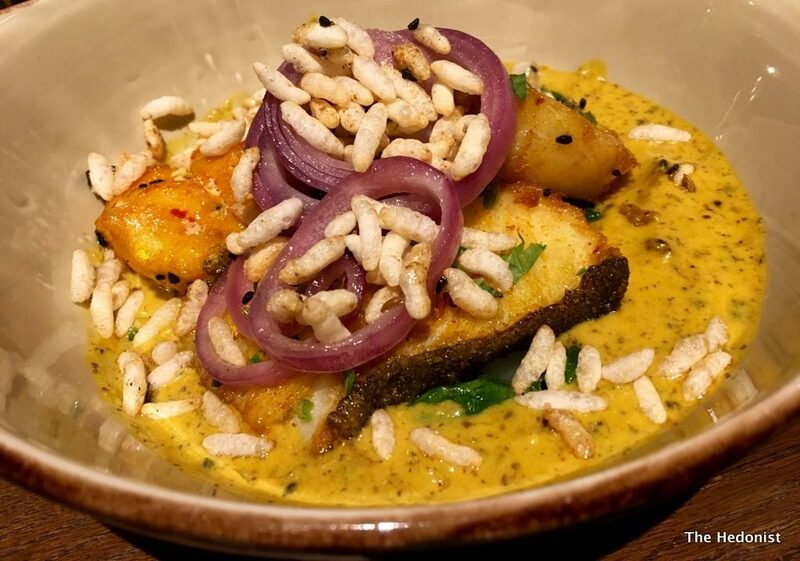 The yoghurt in a Dahi bhalla chaat had a great sense of coolness from the spice. 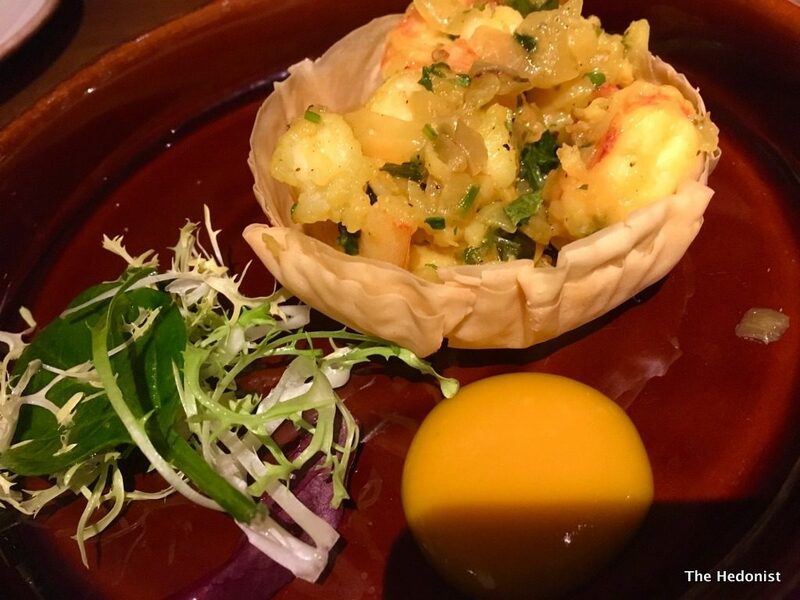 Jodhpuri kachori chaat were onion dumplings combining crunch and heat, and a Papdi Chaat was more traditional. 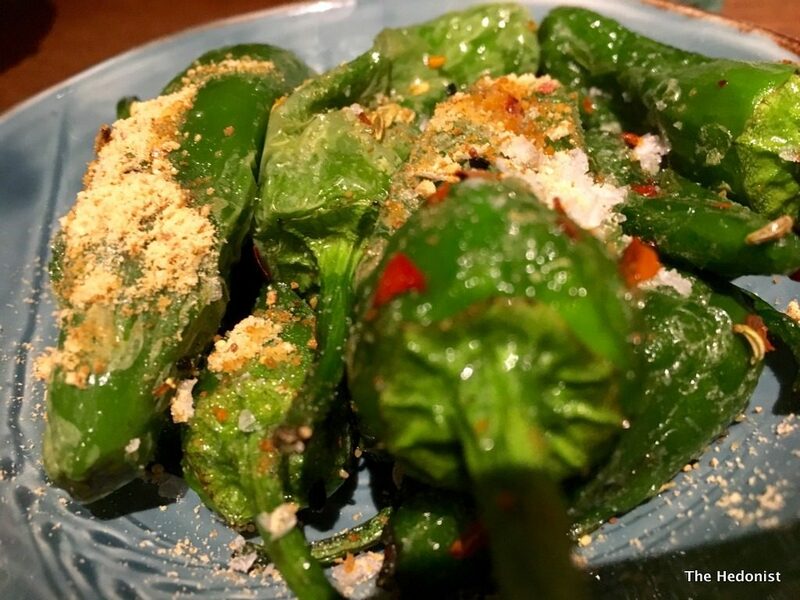 Kadhai spiced bullet chillies were like a spiced padron pepper-a perfect snack to go with the cocktails. 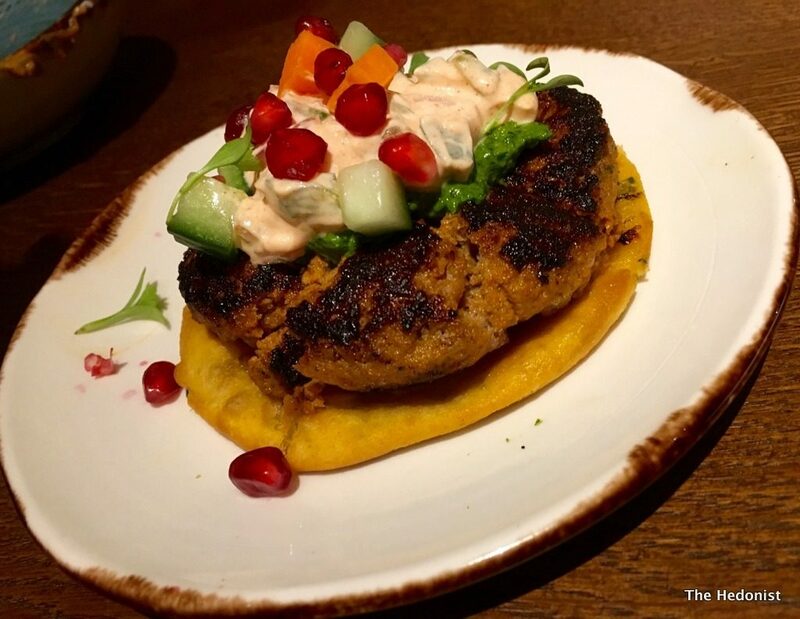 For our starters a Lamb Galauti Kebab sat on a light, flaky saffron paratha and was moist and tender. Curry leaf and cracked black pepper fried shrimp was a simple dish but so tasty! 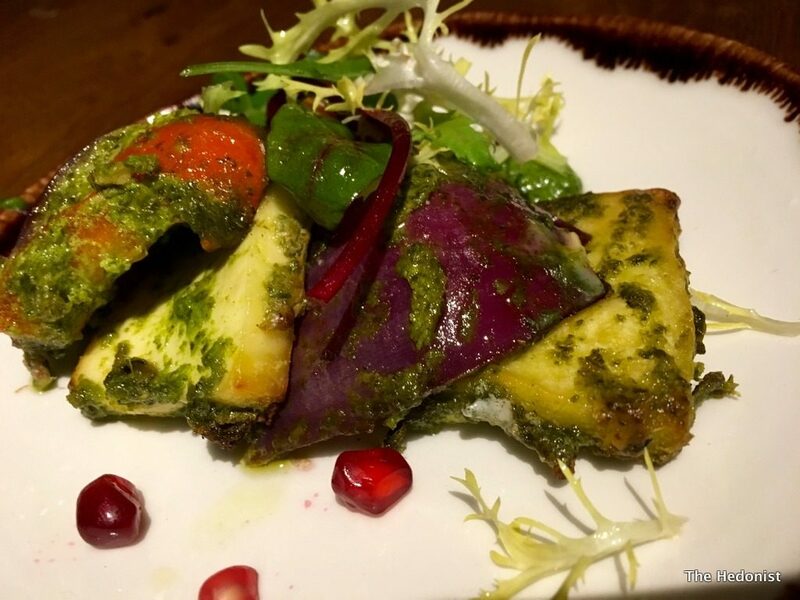 Tandoori chutney paneer tikka had a firm paneer with great spicing and was a lovely dish. 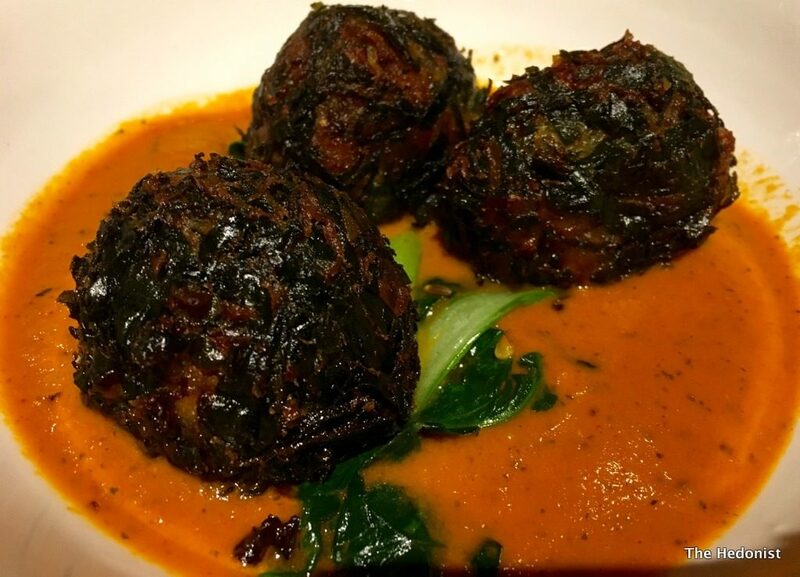 Kabuli kofta was a rich, spiced, caramelised bullet of chickpeas in an intense tomato sauce. 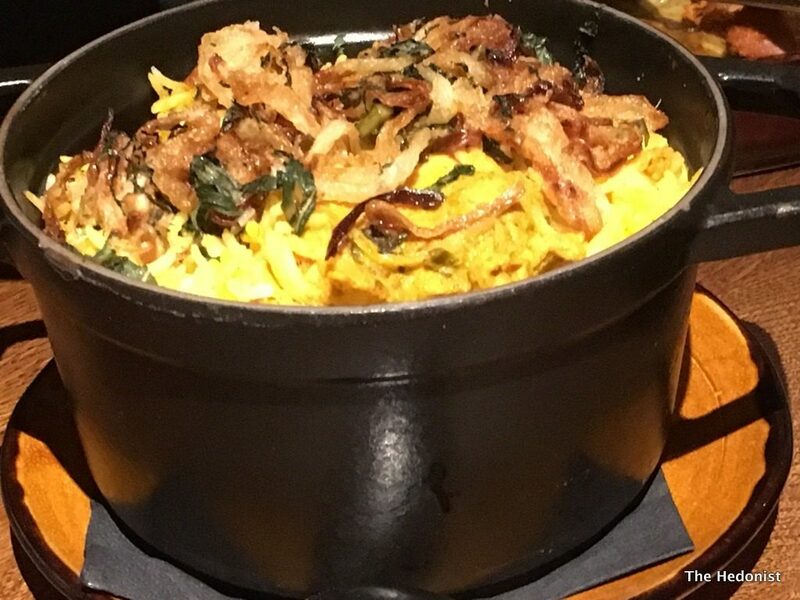 Sides included a richly flavoured Lucknow style chicken biryani, an unctuous black daal and pokey spicy potatoes. 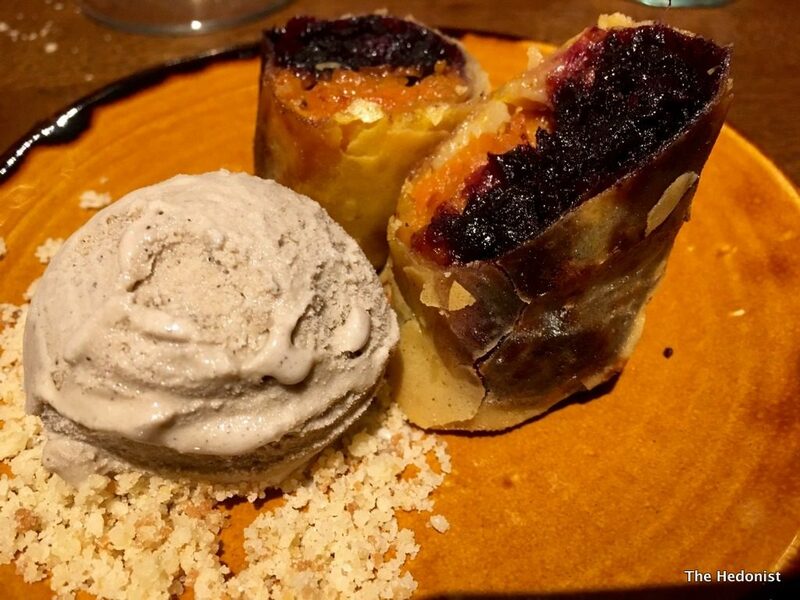 For dessert we tried a carrot halwa roll with a sensational clove ice-cream. I eat out a lot and there wasn’t a weak dish here. 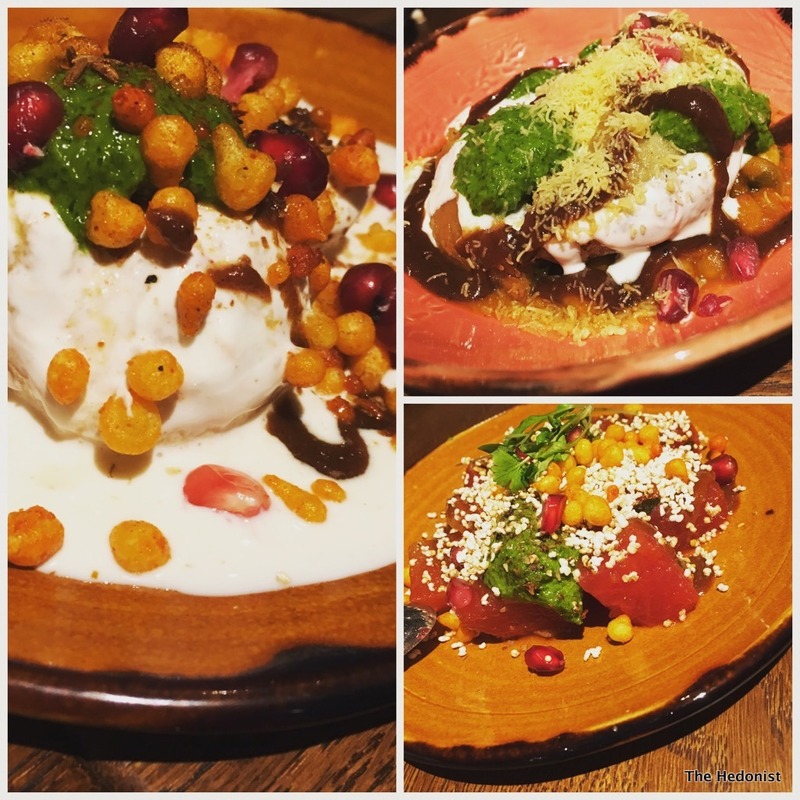 We were treated to a real feast at Cinnamon Bazaar. The quality and diversity of the food was terrific and the cocktail pairings worked brilliantly. But I guess if you have a top chef who understands the art of hospitality working with the best mixologist in the world it should be good!